To be clear, I do not recommend meal replacement shakes. Protein shakes are not meals, they are essentially just a supplement to your diet. They’re mainly a good option for post workout. They are not a good option in lieu of an actual meal. I’d also like to point out that my preference is real food post workout. I personally do not consume protein shakes daily and do not recommend them for everyone. However, I acknowledge that they can be helpful for those who are regularly performing strenuous workouts, trying to gain muscle or who just have trouble eating post workout. They’re also great as a snack, which is how I consume them. For example, we keep protein in the house because my husband drinks a shake immediately after his workout. He gets up at 5 am, goes to the gym, works out really hard, drinks a protein shake to rebuild muscle and then also eats an actual meal after he showers. This is a great way to use a protein shake. So back to my favorite protein powders. My favorite protein source for shakes is grass-fed whey. 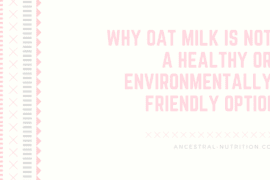 It contains a great vitamin and mineral profile, it contains all essential amino acids (which plant-based proteins do not) and it’s easy for most people to digest (though not everyone). I also like transparency, so it’s important for you to know that none of these companies are paying me to write this. However, the links to the products do go to Amazon, who I am an affiliate for. These reviews are my opinion, I would never recommend a product I do not fully endorse (which is why I recently turned down an offer from a pretty big plant-based protein company). Naked Whey is a protein powder that I have not tried yet but I just ordered. It’s one of the more affordable protein powders and literally has one ingredient: grass-fed whey. The whey is cold pressed, non-denatured and a great option. I love that it only has one ingredient and is so affordable. The other thing I love about this protein is their transparency and the fact that they share where they source their whey: which is in the good ol’ US of A! It’s really important to me to buy from small, local, pastured farms. This whey isn’t local to me, but it is from small, pastured farms in California. We normally use SFH. This whey is grass-fed and has a low lactose content. 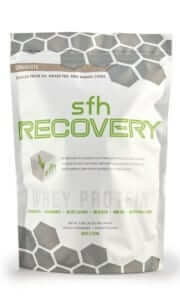 The protein non-denatured and simply contains grass-fed whey concentrate, sunflower lecithin, and stevia. Some people don’t like the stevia, others do. So it’s really a preference here. It’s on the more expensive side and I’m not entirely sure where they source their whey from, which is why we’ve made the switch to Naked Whey. 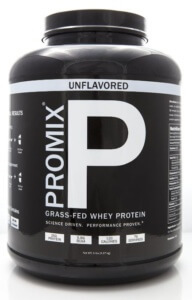 Promix is another great option for a grass-fed whey protein powder. It’s also derived from California cows. It contains a very small amount of sunflower lecithin and is pretty affordable. Promix is non-denatured as well. I plan on trying this after trying the Naked Whey. I love that they also source their grass-fed whey from American farmers. Wait, you’re recommending a plant protein?? Yep. For a long time, I haven’t recommended plant-based proteins. This is mainly because they are grain-based, difficult to digest and lacking in amino acids or nutrients. Granted, this protein is a bit lower protein and a bit higher carb, it’s a good option for those who can’t do dairy. It’s grain-free and has no sketchy ingredients. 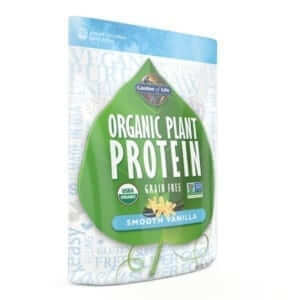 It’s the most easily digestible plant-based protein I’ve ever found. 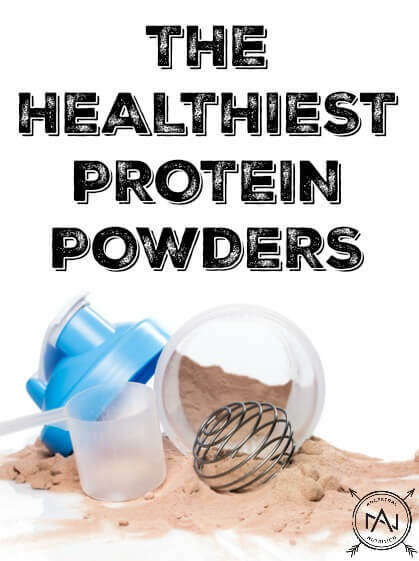 Because of all these reasons, it’s a great addition to your protein powder. 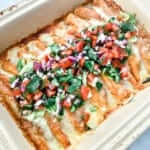 It’s sourced from grass-fed cows and is all-around a wonderful product. Some other great additions to a shake include Garden of Life Raw Organic Greens Powder, Aquatic Greens (insanely healthy), raspberries (low in sugar, high in fiber), raw cacao and wheatgrass. You may be wondering why I haven’t recommended a beef or egg-based protein powder. It’s simple, I haven’t found a source for grass-fed beef protein or organic/pasture raised eggs. CAFO beef and chicken yes, properly raised beef and chicken, no. Keep in mind that how an animal was raised and what it ate directly affects the nutrition of the food and therefore your body. So as of now, no recommendations for beef or egg protein powder. Honestly, you don’t need expensive meal replacement shakes sold to you from people who know next to nothing about nutrition. 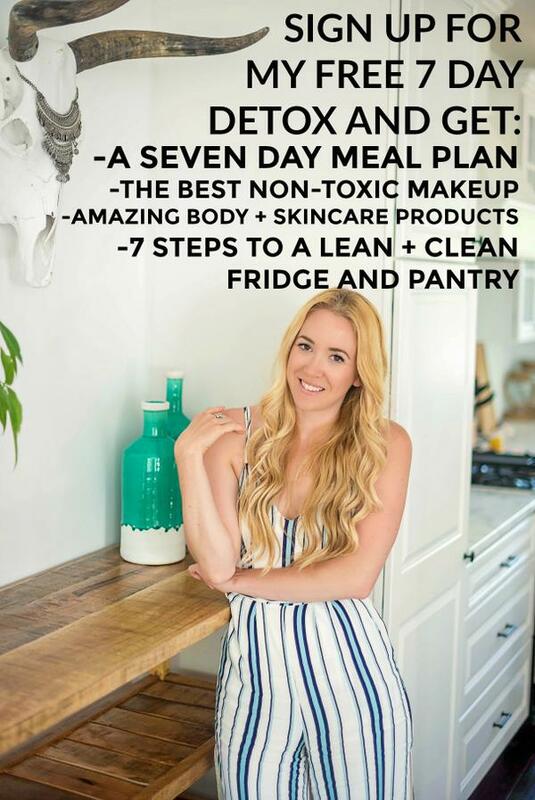 I know these types of products seem like an easy way to lose weight and keep it off, especially with all of those promises they sell you – but it’s all bullsh*t.
The only way to lose weight and keep it off is to eat well, nourish your body, exercise, reduce stress, have fun and get good sleep. These are the keys to not just weight loss, but a happy life and loving your body. You deserve the best nutrition, not some meal replacement shake that is full of GMOs, synthetic vitamins and cheap protein sources like inorganic whey or soy. You are better than that. Meal replacement shakes may work in the short-term, mainly because you’re creating a huge calorie deficit, but the reality is that it’s not sustainable in the long-run. Majority of people on meal replacement end up gaining all of the weight back, and often more. Eat real, whole, unprocessed foods. Add a protein powder if you need to. I guarantee this will work better than any meal replacement shake. You’re going to love Naked Whey! I just bought my first container of it in December and it’s great. Also, I’m fairly new to your blog but am L-o-v-i-n-g your perspective on things. You’re filling a much needed gap in the paleo/primal world xo! Just to be clear, I add the collagen to my protein? Hi. Just wondering… Do you still recommend Reserveage Whey protein? I do not, these are better. It’s not bad, I’ve just found better options. Why have you changed your stance on reserveage whey protein? There are bettor options out there. Have you heard of the brand “Bulletproof” and any opinions on this? Sorry, you probably get multiple questions on so many brands! Kids really don’t need shakes, they need real food. My son has started solids. He eats fish eggs, chicken liver, beef, avocado, egg yolks, yogurt – pretty much whatever I offer. Picky eating starts at home. When I was growing up, if you didn’t like the food you were given and refused to eat it, you didn’t eat. As he gets older, I will continue to give him nutrient dense, organic, real food. 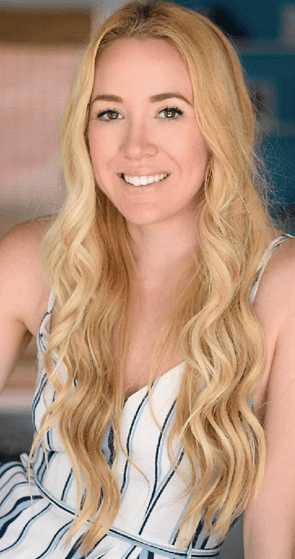 I’ve recently started taking the collagen supplement you recommended and have noticed a difference in my skin. Thank you. I recently began using Naked Whey and love it. I also love the SFH in coconut. How does the naked whey taste and have you tried the vanilla? I think it tastes great. Hi! Are there any vegan protein powders that you recommend? Thank you!! 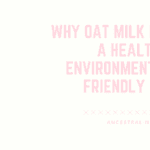 Orgain is one organic brand that has a vegan line you might try! What do you think about using real food in a shake with protein powder? 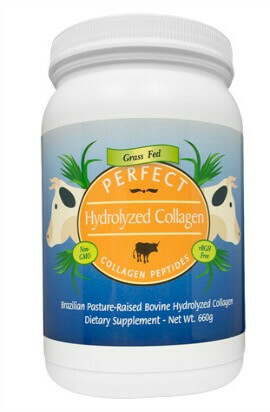 Low glycemic fruit, greens, healthy fat, liquid and protein/collagen. 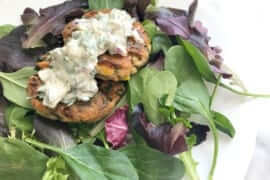 I’ve been doing this as a fast, easy meal replacement using organic healthy real food. Adding those ingredients is a great idea! Would love a review of the Bulletproof line? Thanks for all your work. Love all you do. That’s a great idea! I’ll have to work on that one. I have been using Naked Whey for awhile now. I like it because it does not have additional ingredients. Thank you for the very informative articles on protein powder and shakes. I was just going to waste some money on one of your major no-no’s. I will be ordering one of your higher recommended online. Thank you again. Trying to get healthy one meal at a time. 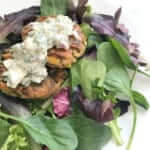 I love that – trying to get healthier one meal at a time. That’s great. 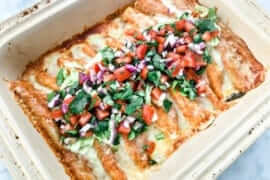 Glad to have helped, you can also check out a lot of healthy recipes on the recipe section of my site! 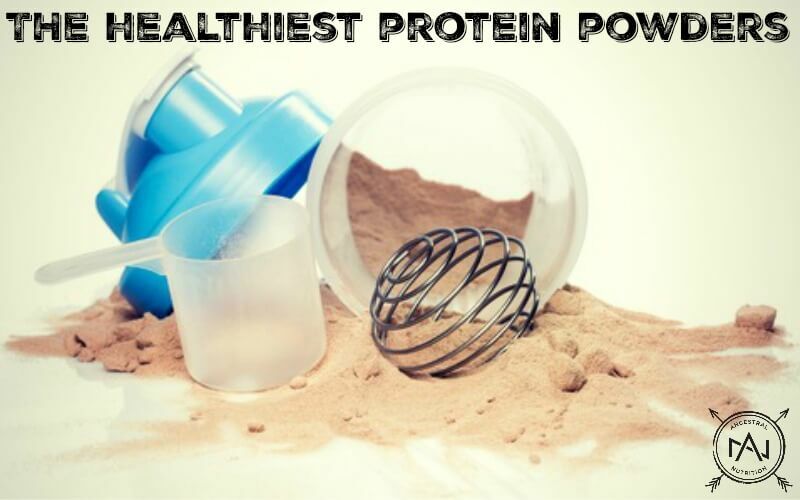 Can you give any update on your experiences trying the whey protein powders you wrote about? Also, any other recommendations for ways to increase her weight in a healthy way? (She’s also suffered memory loss in the last year we are also working on.) I am looking to integrate higher calorie healthy foods, so she doesn’t have to eat as much to get the calories, since her appetite isn’t very good right now. Thinking of things like avocados, almond butter, brown rice, quinoa, bananas, a good protein drink supplement. Finally, I am going to have her start doing weight exercises such as bicep curls and weight leg raises while she is sitting. And get her back to walking a little more. Any ideas or comments would be helpful. Thanks! I think any good, grass-fed whey protein would be helpful. Additionally, I would think about mixing it with coconut milk for added calories and fat. The End of Alzheimer’s is a great book to help prevent and reverse cognitive decline, I suggest checking that out. And any physical activity she can do will be great!